Welcome to Integrity Pool & Spa! Integrity Pool and Spa is a family owned and operated company that is currently celebrating our 19th year in business. We specialize in in-ground pool installation, above ground pool installation, and spas, proudly serving all of New Jersey. Our retail store is the talk of the town in terms of the amount of pool supplies and parts we stock, our full lines of pool and spa chemicals, the plethora of toys and games we carry, and the many other pool and spa accessories we stock. We also have a beautiful showroom with two operating above ground pools and 8 spas on display. A stunning and practical pool turns your existing backyard into a charming escape. Choose from a variety of appealing shapes and sizes, and we will craft you an exquisite pool or spa, in addition to providing unmatched customer service. Reinvent your backyard as a private retreat or the perfect entertaining venue. Our professional pool installation construction crew will carefully install your pool and give your specific custom options the attention to detail you expect. You’ll enjoy the view around your pool as well as the time you spend in it! Because we are committed to offering only the highest quality products and services, we are proud to be a part of the swimmingpool.com program. We build our beautiful and functional pools with the finest materials and most advanced pool installation construction techniques. You can trust that your pool will be both safe and enjoyable. Each pool we build is accompanied by a full warranty to ensure years of enjoyment in your backyard paradise. Please take a moment and review our Awards Page to see our commitment to service and our customers. We are the only pool company in a 5-state area to have won the Northeast Spa and Pool Association (NESPA) Service Company of Excellence Award every year its inception in 2006, 13 consecutive years. 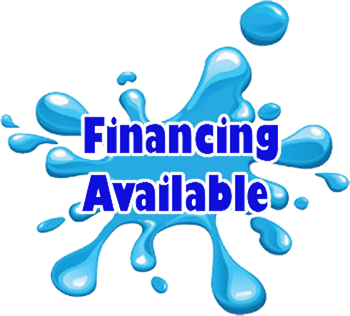 Contact us today to find out more about pool installation, spas and more! Our pool and spa services are available throughout all of New Jersey. Hit Play and Check Out Our Latest Specials! Copyright © 2019 Integrity Pool and Spa, LLC, all rights reserved.